A fundraising collaboration by three North-East charities supporting the development of a new hospital and a new centre for oncology and haematology patients has been welcomed. Aberdeenshire East MSP Gillian Martin and Banffshire and Buchan Coast MSP Stewart Stevenson have welcomed the campaign. It will be led by Friends of the Neonatal Unit (part of the Archie Foundation, Friends of ANCHOR and the University of Aberdeen Development Trust. The ‘Delivering the Difference’ campaign will raise funds for both The Baird Family Hospital and The ANCHOR Centre. Friends of the Neonatal Unit (part of The ARCHIE Foundation), Friends of ANCHOR and the University of Aberdeen Development Trust, supported by the NHS Grampian Endowment Fund, are joining forces to raise funds for The Baird Family Hospital and The ANCHOR Centre. “This is great news for healthcare in the North-East of Scotland and there has been significant investment in the construction and equipping of these new facilities. “Campaigns like this help to deliver and make a real difference to people and help to make their hospital experience better. The roll-out of a grant scheme for families with new children from the Scottish Social Security Agency has been welcomed by North-East MSPs. Aberdeenshire East MSP Gillian Martin and Banffshire and Buchan Coast MSP Stewart Stevenson also highlighted the success of the new Carer’s Allowance Supplement for which more than 75,000 carers have now received top-up payments. Eligible families will be provided with £600 on the birth of their first child and £300 on the birth of any subsequent children. No limit will be put on the number of children that are supported and eligible families could also benefit from two further payments of £250 around the time of nursery and around the time a child starts school, to recognise the additional financial costs during these key transition periods. “The Scottish Government wants to help families with new additions as they begin their lives, giving them the best start possible. “The Scottish Social Security Agency will endeavour to help support not just the first child born but the children who follow thereafter. “Families in the North-East of Scotland are facing tough times with harsh austerity measures. “The Chancellor may have claimed in the budget the end to austerity is here but it is clear we must do all we can to continue to help mitigate against these harsh measures. Banffshire and Buchan Coast MSP Stewart Stevenson has accused the Tories of “leaving Scotland in the dark” after a call was made to put the clocks forward rather than back by an hour in Autumn. It comes after Conservative MP Sir Greg Knight called for the clocks to be moved forward an hour to ensure more daylight claiming it would also reduce national energy consumption and boost tourism. In a blog post for ConservativesHome, he also claimed the move was supported by a number of organisations. “It is no secret that Tories want to leave Scotland in darkness, but fixing the clocks to British Summer Time would mean that dawn wouldn’t break in Scotland until nearly 9am. “The evidence put forward supporting this change is dubious at best and the proponents of this change have ignored why this was abandoned after being trialled in the 1970s. Stewart Stevenson has called for an urgent meeting with the Health Minister after NHS Grampian announced a north-east medical practice would end its contract with the health board. It comes after a number of challenges related to GP recruitment in Banff and the surrounding area including Portsoy, Aberchirder and Gardenstown in recent years. Now, Banffshire and Buchan Coast MSP Stewart Stevenson has called for a meeting with Health Secretary Jeane Freeman after Deveron Medical Practice told NHS Grampian it would end its contract in April 2019. The practice currently serves around 6,000 patients. In a letter Mr Stevenson said the decision was attributed to the “ongoing and chronic problems” with GP recruitment in the area. “This decision by Deveron Medical Practice will be causing uncertainty for those in the Banff and Macduff areas who are registered with the practice. "People will understandably be very keen to know what steps are being taken to ensure continuing access to primary care. The UK Government has been accused of keeping Holyrood “out of the loop” on plans to implement a USO (Universal Service Obligation) limit on broadband. It comes after Banffshire and Buchan Coast MSP Stewart Stevenson asked what discussions the Scottish Government had been in with Westminster for proposals to implement a 10-megabit universal service obligation for broadband. The move would be less than Scottish Government’s proposals for at least 30 megabits. Minister for Energy, Connectivity and the Island Paul Wheelhouse told Mr Stevenson repeated calls had been made for the UK Government to match Scotland’s ambition. Scotland is currently the only part of the UK to have committed to extending superfast access to 100 per cent of premises, supported by an initial procurement of £600million. Mr Wheelhouse said this was “despite numerous requests” and while the regulation and legislation of telecommunications is wholly reserved to the UK Parliament, the UK Government has contributed “a mere 3.5 per cent of investment, with the Scottish Government committing 96.5 per cent”. He added “no assurances” had been given that Scotland’s ambition to deliver 30 megabits would not be impeded by the UK Government deciding 10 megabit would be the limit. “Rural communities are suffering because of the failure of the UK Government to efficiently deliver broadband services to the areas that need it most. “Despite the Scottish Government’s willingness to, in time, deliver 30 megabits across Scotland to homes and businesses the UK Government continues to stall on this issue. Banffshire and Buchan Coast MSP Stewart Stevenson has welcomed strong annual GDP growth in the first half of 2018. The findings show GDP (Growth Domestic Product) is the strongest since 2014 and above the UK as a whole. GDP assesses if and how much the economy is growing by measuring the total value of all good made, and services provided, during a specific period of time. Independent growth forecasts have suggested it could strengthen further over the next couple of years. But uncertainty relating to the form and timing of agreement for leaving the EU remains a key concern for many sectors of the economy. GDP growth is at its highest annual rate since 2014 and above the UK. The labour market continues to perform strongly with unemployment falling over the past year and remaining close to its record level. “Following the very positive GDP data published last month, showing Scottish GDP growing, this latest State of the Economy report provides a broader analysis of Scottish economic performance. “It’s good to see the improving outlook for the oil and gas sector coming to fruition alongside the continued strong performance in our labour market. Local MSP Stewart Stevenson has warned that the North-East could be left with a huge gap in funding caused by the UK’s exit from the European Union. It comes after new figures showed how much money is invested in different projects across sectors including, young people, employment and agriculture. Since 2017, around £93 million has been granted for more than 3,000 farmers in the North East. And around £80 million has been given for research projects as well as £5 million for growth and jobs. A number of organisations benefit from funding as well as universities, colleges and schools. Now Banffshire and Buchan Coast MSP Stewart Stevenson has warned projects may face a gap in investment post-Brexit. The EU invests around £5 billion a year in the UK and the European single market is around eight times bigger than the UK market alone. “As these figures show, the North East and its surrounding areas have benefitted hugely from this cash. “This funding has made a huge contribution to infrastructure, culture, and opportunities in Scotland. This is just the latest analysis which confirms that UK Tory Government's mishandling of Brexit is going to inflict major harm on our economy. Banffshire and Buchan Coast MSP Stewart Stevenson has called for more awareness about the challenges pavement parked cars create for partially sighted and blind people. It comes after a survey by Guide Dogs Scotland showed that 97% of blind or partially sighted people encounter problems with street obstructions and 90% of those had experienced trouble with a pavement parked car. Mr Stevenson was told about the difficulties that local authorities face earlier this month, at the SNP’s Autumn Conference, in trying to tackle the issue with their current powers, and why Guide Dogs is calling for a clear law on pavement parking. Guide Dogs Scotland is supporting proposals in the Transport (Scotland) Bill in the Scottish Parliament that would prohibit pavement parking, except in areas which need a legitimate exemption. “I was grateful representatives from Guide Dogs Scotland met with me to explain some of the challenges partially sighted and blind people face in their day-to-day lives whilst out and about. “It is easy to forget some of the things we take for granted can cause injury or distress and we must be more mindful. “Cars blocking pavements are a nuisance for everyone, but can be a real danger for people for people with sight loss, potentially forcing them out into the roads to get by. David Mundell must choose whether to “back or betray” Scottish farmers, the SNP has said, by demanding that they receive £160m in funding to which they are entitled. UK Environment Secretary Michael Gove this week unveiled a much-delayed review into funding for farmers post-Brexit, under pressure from the Scottish Government, who have repeatedly criticised Westminster's decision to withhold £160m in convergence payments from Scottish farmers. The UK only qualified for the uplift of EU CAP payments because Scotland’s euro per hectare rate fell below average. The remit of the review appears to have been significantly watered down – but the SNP has challenged Mr Mundell to back Scotland’s farmers by making clear his unequivocal support for this funding coming to Scotland – and threaten to resign if necessary. This week, he threatened to resign if the devolved nations were offered a special Brexit deal that could protect Scotland’s economy by remaining in the customs union or single market after Brexit. “The way in which the UK Tory Government has withheld £160m in funding rightfully due to Scotland’s farmers is absolutely outrageous. It is solely because of Scotland that the UK, as the Member State, qualified for this funding. “The UK Government only agreed to review this funding under pressure from the SNP and the Scottish Government. It is incredibly disappointing that they have announced it before responding to the Scottish Government’s concerns – not least because the remit of the review appears to have been significantly watered down from their previous commitments. “It is therefore more important than ever that David Mundell, as the Scottish Secretary, adds his voice to calls for Scotland’s farmers to receive what they are entitled to. “Last year Mr Mundell said he would refuse to support any backdoor deal with the DUP that would see money going to Northern Ireland but not Scotland – but then did exactly that. "And as recently as this week, he reportedly threatened to resign if the devolved UK nations that voted to remain in the EU were offered a special deal that could protect Scotland from the economic shock of a hard Brexit. "He should make clear – by threatening to resign if necessary – that he will not accept his Tory colleagues continuing to short-change Scotland. Ahead of the UK Budget, Stewart Stevenson MSP has demanded that the UK government reinstates the pledged £1 billion funding for a Carbon Capture and Storage (CCS) scheme in Peterhead. 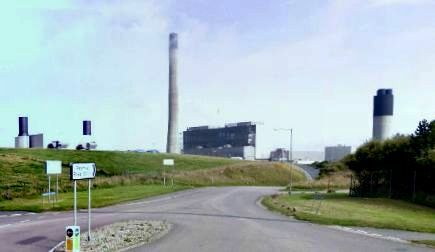 Tory Chancellor George Osborne axed £1billion of promised funding for CCS technology in 2015, costing jobs and investment in Peterhead power station, which had been earmarked as a potential CCS site. This demand comes in light of warnings from world leading scientists in this week’s UN Intergovernmental Panel on Climate Change report that we have only 12 years to limit global warming to a maximum of 1.5C or risk extreme heat, drought, floods and poverty for hundreds of millions of people across the globe. “Peterhead lost out when the Tories axed £1bn for Carbon Capture and Storage at the eleventh hour in 2015 – a betrayal of the North East of Scotland and of the fight against climate change. “The Tory government cannot continue to ignore the facts that without a CCS strategy, the UK will be much less likely to meet its climate change targets and it will be twice as expensive to do so. “The Tories need to take action now and stop starving the North East of vital investment in carbon capture technologies before it’s too late. This is an economic opportunity to create hundreds of jobs and build knowledge for the future in a cutting edge field, but it is also a moral imperative. 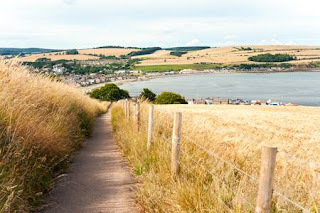 The new Bill, introduced to the Westminster Parliament by Michael Gove, has been denounced by Scotland’s Rural Economy Secretary, Fergus Ewing, for failing to respect the devolved settlement. Farmers in the UK currently receive £3.1 billion in support through the European Union’s Common Agricultural Policy with Scotland receiving approximately half a billion pounds annually. The Bill fails to honour Tory promises made to farmers in the EU referendum to guarantee to match EU funding in the event of the UK leaving the EU in the long-term. The National Farmers Union Scotland (NFUS) have supported the Scottish Government’s position that all decisions affecting agriculture in Scotland should be taken in Scotland. “Throughout my visits to the local agricultural shows over the summer, the recurring concern in any conversation I had with farmers was how they might be impacted by the Westminster Government’s complete lack of preparedness for post-March 2019. “As the National Audit Office confirms that preparations to support businesses have not been made, the UK Government’s plan makes pretty horrific reading for Scotland’s farmers. The Agriculture Bill itself falls far short of the many promises that the UK Government have made to farmers across Scotland and their attempt to push it through Westminster - taking devolved powers from Holyrood as it does - is completely unacceptable. 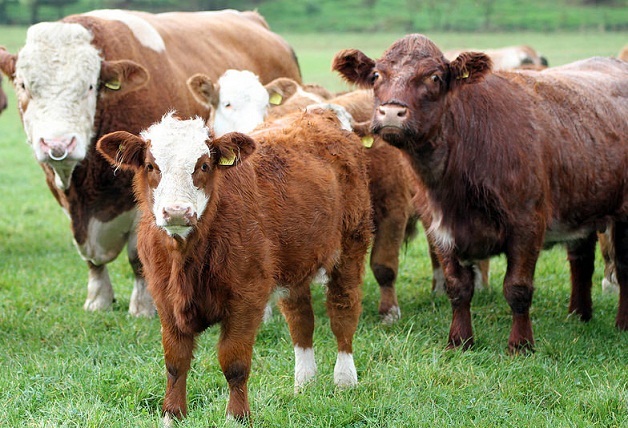 “Marketed as setting the future direction of the UK, the reality is that the Bill and UK Government departments have no vision, no plan and have ignored calls to address the concerns raised by organisations like the NFUS. “The Tories’ approach just underlines why Scotland needs its powers over farming policy and support so that we can provide for this key sector in our rural economy. We need policy which protects rural Scotland’s interests, not Tory interests." Banffshire & Buchan Coast MSP Stewart Stevenson has today encouraged groups within his constituency to apply to the new Digital Fund, administered by the Big Lottery Fund. The Digital Fund is a new UK-wide £15 million funding programme to support charities and community organisations. It will be launched on October 22nd, and aims to help charities and voluntary sector groups use digital tools and approaches to support people. “I would encourage any eligible groups within my constituency to apply for Digital Fund grants. Applications for the fund open on 22nd October with a closing date of 3rd December 2018. Further details can be found at https://www.biglotteryfund.org.uk/funding/programmes/digital-fund. Banffshire and Buchan Coast MSP Stewart Stevenson and Aberdeenshire East MSP Gillian Martin have welcomed a grant for a North East charity. 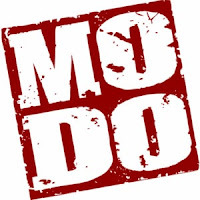 Modo Circus with Purpose has been awarded a grant of £4,800 from the Corra Foundation which distributes just under £1 million through its Henry Duncan Grants programme to grassroots charities working in their local communities. The funding will be put toward funding a volunteer support worker who helps vulnerable young volunteers from the Encounter Youth café. Modo is based in Peterhead but also works closely with the community in Mintlaw. “This report shows there are many benefits to living in a rural area. Banffshire and Buchan Coast MSP Stewart Stevenson is encouraging those eligible to sign-up for the national flu vaccination programme. Ahead of winter, those most at risk are being asked to make sure they protect themselves against illness. It comes after the number of reported cases of flu more than doubled last winter. Health Secretary Jeane Freeman has warned flu can be serious and result in complications that lead to hospitalisation. Around 2.5 million people are expected to be offered a flu vaccination this year, including those with health conditions, people aged 65 and over, pregnant women and children aged 2-11. NHS Scotland workers and carers are also offered the vaccine to help stop the spread of the virus to the vulnerable. With the flu vaccine available from GP practices from this week, the advice for those eligible is to make the vaccination a priority to ensure they're protected ahead of winter. Figures show that on average, 1,918 people have been hospitalised for flu or its complications each year in Scotland. “This year we want to ensure as many people as possible are protected from flu ahead of winter hitting. “I would encourage everyone who needs it in the Banffshire and Buchan Coast region to make sure they do. "The vaccine is safe, effective, and remains the best protection against the flu virus. It is important to stress that the flu vaccine offered to those ages 65-74 this winter still provides protection. "Last winter was a particularly bad year for flu, with a rise in the number of cases and hospitalisations. "Flu can be extremely serious for those who are vulnerable, and is very infectious. Constituents can protect themselves by encouraging people they know to get vaccinated early. Not only will you protect yourself, but you'll also be playing a part in helping stop the spread of the virus this winter." 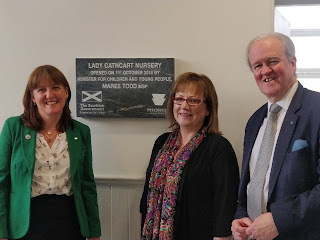 Banffshire & Buchan Coast MSP Stewart Stevenson attended the official opening of the Lady Cathcart Nursery in Buckie this morning which was performed by the Minister for Children and Young People, Maree Todd MSP. The facility marks a £600,000 investment in the town from the Scottish Government. “This is a transformational project in the provision of childcare in Buckie and shows the absolute commitment of The Scottish Government in providing the children of this area with the very best start in life. “The SNP have pledged to double the current amount of free early learning and childcare available for all 3 and 4 year olds, and eligible 2 year olds, by 2020. This is an ambitious plan which will save families in Buckie, and throughout Scotland, over £4,500 per child per year. “When the SNP came to power in 2007, 3 and 4 year olds received 12½ hours of free childcare a week. This has risen to 16 hours but that will rise to 30 hours by 2020. This will be of huge benefit to children and their families and is one of the most revolutionary projects the Scottish Government, in partnership with Councils and private providers, is undertaking. “I am delighted to see the Scottish Government investing over £600,000 in Buckie and shows the commitment this Government has to the North-east and the children who live here. Banffshire and Buchan Coast MSP Stewart Stevenson has welcomed the opening of the redevelopment of Peterhead Fish Market. The modern building, which opened for business in June, is a key part of the £5 1million redevelopment of the historic fishing town’s harbour by the Peterhead Port Authority. Mr Stevenson attended the opening on Saturday alongside the Duke of Rothesay and the local community. More than 500 guests from all across the North-East were invited to the market to celebrate its official opening. The new building is able to hold 10,000 boxes of fish at a time and boast the latest in refrigeration technology which, when combined with better access for boats from the quayside and lorries from the shoreside, allows Peterhead-landed seafood to reach plates fresher than ever. “I was delighted to be present for the official opening and I would like the congratulate Peterhead Port Authority. “This is a fantastic new facility which has been supported by £5million of funding from the Scottish Government and the European and Maritime Fisheries Fund. “I would like to thank retiring Chief Executive John Wallace and welcome the new Chief Executive Simon Brebner in his new role. Banffshire and Buchan Coast MSP Stewart Stevenson has welcomed an announcement of funding for veterans and ex-Service charities across Scotland. Organisations are being encouraged to bid for funding to deliver projects tackling issues including the transition from military to civilian life, healthcare, housing and employment. Funding is also being offered for those who could provide new or innovative approaches to increasing opportunities for Veterans. Last month, Mr Stevenson spoke in a Scottish Parliament debate on help and services available for Armed Forces Veterans. “In the past decade, the Scottish Veterans Fund has provided more than £1million to a host of ex-Service charities and organisations. “Veterans enrich our society and deserve the highest level of advice, support and care. “This is why the Scottish Government remain committed to supporting them and their families. Aberdeen is leading the way for Scotland’s Trauma Network with the opening of a centre which will treat the most seriously injured patients across the region. 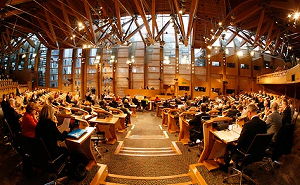 The move has been welcome by SNP MSPs Gillian Martin and Stewart Stevenson. The facility, which was opened on Monday (October 1st) by Health Minister Jeane Freeman, is the first of four major trauma centres due to open as part of Scotland’s Trauma Network. It will ensure that those seriously injured get the best possible care and chances of recovery, wherever their location. The network has been backed by more than £15million investment so far and will include the Scottish Ambulance Service and existing trauma services. Further facilities are due to open in Glasgow, Edinburgh and Dundee giving patients the best specialist treatment and rehabilitation. “Trauma care across Scotland is changing and I thrilled Aberdeen has lead the way in supporting this network. “It means we can ensure people with serious injuries have the best chance of recovery from their injuries. “Providing intensive treatment to patients as close to home as possible is important not just for them but relatives. “More than £15million has been invested already in the Major Trauma Network and there will be a gradual increase over the next five years. “This collaborative way of working brings together both the professionals and components together across the North of Scotland. “This includes the Scottish Ambulance Service as well as community-based rehabilitation teams once the patient has returned home."